Ewha-HCAP (Harvard College in Asia Program), the Asian international exchange program co-hosted by Ewha and Harvard University, is successfully underway this year, just as last year. HCAP is the Asia’s biggest academic cultural exchange program that started in 2003 for fostering global leaders who have a deep understanding of both the U.S. and Asia. Ewha, the only participant in Korea, has joined this program for 11 consecutive years since 2007, and is currently proceeding with it as part of the Ewha ACE program. 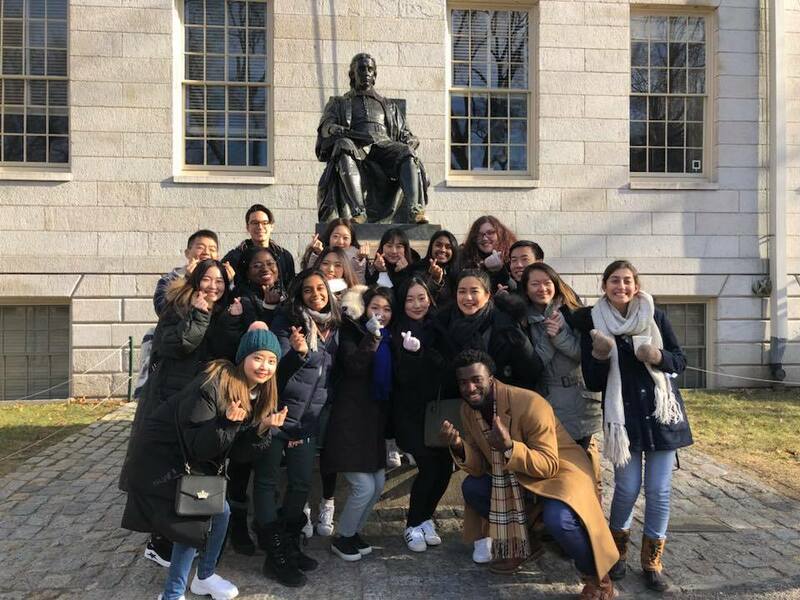 Eight Ewha students selected in advance took part in the Ewha-HCAP Boston Conference that was held from January 14 (Sun) to 20 (Sat), 2018 at Harvard University in Boston, the U.S. HCAP is characterized by that students take the lead in planning and operating the whole program including various academic lectures and cultural experiences. This Boston conference, themed “Redefining Leadership: Initiative and Influence in the Modern World,” was held with about 150 students from Ewha, Harvard and Asia’s partner universities attending. Leadership lectures were given in the five categories of Entrepreneurship, Nuclear, Diversity, Religion and Military. After lectures, discussions had been made to share the conditions of each country and relevant opinions. HCAP is operated in a way that Harvard University selects the most prestigious university of each of major nations in Asia as a partner every year, and currently eight distinguished Asian universities including Ewha are being involved. The program has two conferences every year: the first conference that invites students selected from universities in Asia to Harvard and the second conference that selected Harvard students visit each country in Asia. As one of the Asian universities that have the longest history of participation in HCAP, Ewha has a long history with the cumulative number of its student participants reaching 220. Ewha is maintaining close relations with Harvard University as the one and only Korean partner in exchange programs, for example, by jointly running the Ewha-Harvard Summer School Program for consecutive 13 years since 2006, along with Ewha-HACP. In 2013, Drew Gilpin Faust, Harvard’s first female president, was appointed as “Distinguished Honorary Ewha Fellowship” for 2013 and she visited Ewha and gave a special lecture to students.